The Buckingham Leadership Institute exists to help leaders and local churches achieve their fullest potential for God’s glory. The reality is that many churches are operating far below their potential. Too many churches are simply stuck. 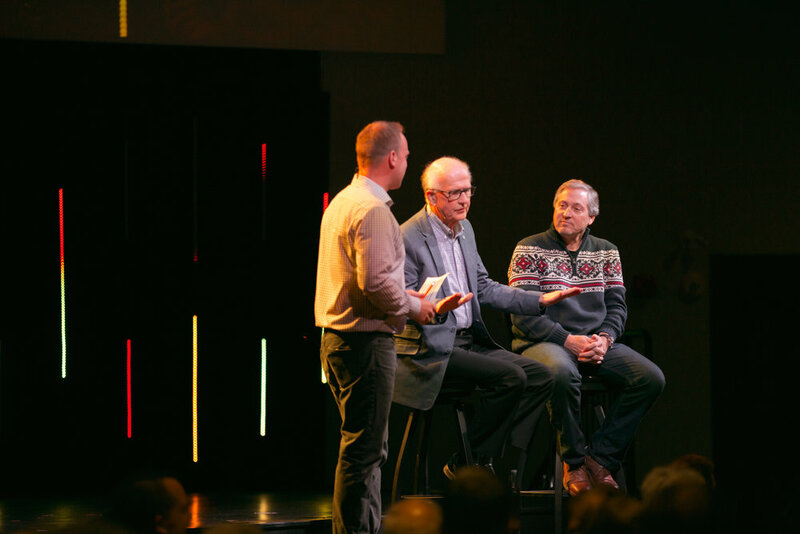 A typical church consultation weekend includes Dr. Buckingham working with the pastor and key leaders of the church. These individual interviews and a focus group are designed to discern the unique challenges and opportunities of each congregation. Understanding these current realities is the beginning step in the consultation process. The next step is helping the team creatively explore next steps toward their full potential. This is the heart of the process. Insights gleaned from the interviews and focus group provides the basis for the recommendations. Each step of the process is designed to build up and encourage leaders without blaming or pointing fingers. In fact, a proactive response to the recommendations will bring about results that will build ever greater confidence in the leadership. One of Dr. Buckingham's great joys and contributions is closing out the weekend by preaching a vision-casting message to help the congregation embrace God's ability to work through their church to accomplish great things for His glory. Self-Study - Completed by the church prior to the consultation weekend. Friday - Initial one-on-one interviews with Pastor and ministry leaders. Friday Night - Interview with a focus group of 15-25 people. Saturday (Morning and Lunch) - Leadership seminar on church vitality with as many as possible, especially people involved in a ministry. Saturday Afternoon - Meeting with Pastor to preview recommendations. Sunday Morning - Vision casting sermon. Sunday Morning (immediately after service) - Congregational or Board meeting to present and distribute printed copies of the recommendations. Two-Three Weeks Later - If it is the congregation's responsibility to decide, they would meet to answer questions and discuss the recommendations. Following Week* - Congregational meeting to vote on recommendations. Following a Favourable Vote - Various ministries of the church will conduct a thorough audit to align ministry focus with the church's purpose. *A coach will be made available to facilitate and assist the pastor in follow-up. Due to the great urgency of the need to revitalize churches and the fact that this process has proven to be so extremely effective for a church of any size, the Buckingham Leadership Institute has raised funding to make it possible for Dr. Buckingham to provide this consultation at a reasonable cost for any church. For more information, please do not hesitate to contact us and we will reply promptly.